Yury and his wife Liya have more than 30 year's experience in the finest European tradition of custom lamp and chandelier restoration. Their clientele includes leading design firms, high-end building contractors, historic preservationists, theatrical set designers, as well as design-savvy homeowners and lighting collectors. We are routinely hired to restore and repair prestigious heirloom fixtures, including cherished antique lamps and nearly priceless Tiffany and Art Noveau leaded-glass shades. Our showroom features an extensive selection of fully refurbished vintage and antique chandeliers and fixtures. 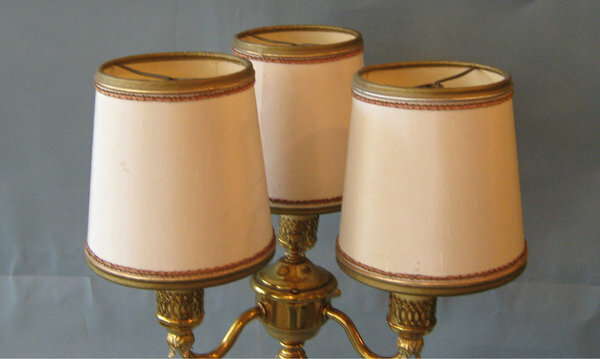 We're frequently praised for rivaling the finest stores on Sacramento Street by selling antique lighting comparable to theirs at much lower prices. 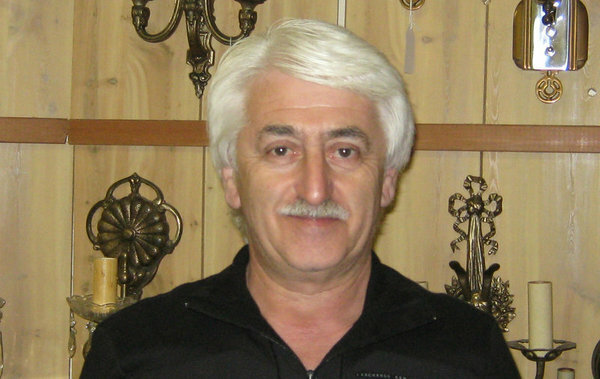 A Message from Yury: "We Take Pride in Our Excellent Workmanship and Customer Service"
As a family owned and operated business, we take great pride in our meticulous workmanship and excellent customer service. Whether you’re seeking a fast turnaround on a lamp repair or rewiring, need a replacement shade, or wish to purchase an antique or vintage chandelier - we have the expertise to fulfill your most exacting requirements. I look forward to meeting you when you visit our store! Yury's Lights & Beyond on YouTube! Free Estimates & Reasonable Pricing. All services provided per custom quote depending upon project complexity. We accept Visa, Mastercard, Amex, and Discover as payment for all purchases and lamp restoration services. 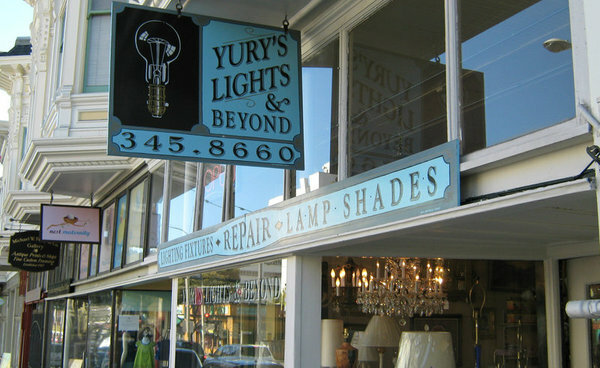 Yury's Lights & Beyond carries an extensive inventory of top-quality bulbs, parts and lighting accessories - everything you need to keep your favorite lamp or chandelier shining brightly! 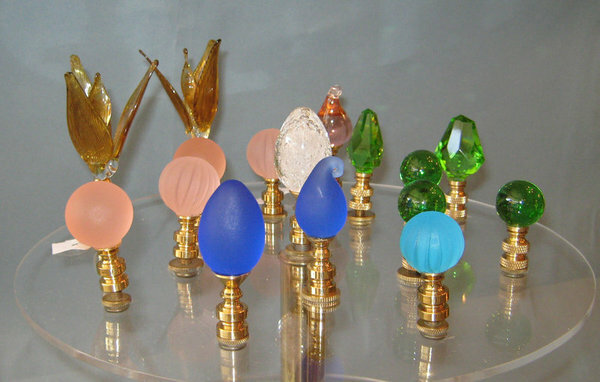 LIGHT BULBS: manufacturers include Satco, Permalite, Philips, Bulbrite, Allura, Lumin, Verilux, Sylvania and many others. You'll find a complete selection of various bulb types, including halogen, incandescent, 12-volt, full-spectrum, and fluorescent. LAMP SHADES: We stock a wide selection shades in a variety of sizes and shapes for table and floor lamps, wall sconces, and chandeliers - including glass, mica, hardback, and silk. LIGHTING HARDWARE: finials, lamp bases, arm backs, elbows, shade holders, swivels, tubing, weights, beeswax candle covers, ceiling canopies, lamp chain, loops and hooks, bobesches, and shade harps for every type of fixture. ELECTRICAL PARTS: dimmers, switches, cord sets, switches, wall plugs, antique-style wire, and sconce wire. We also carry sockets for candelabra, intermediate, halogen, and standard Edison-base fixtures. Optimize Your Cooking Experience! Bring your favorite kitchen knives in for a fast turnaround on precision sharpening. Customer comment: "The knives were sharper than the day we bought them."